Dr. Seuss is awesome. Pretty much every high school graduate is given a Dr. Seuss book or two upon graduation. I was given Oh, The Places You’ll Go! by my sister (happy birthday, Mrs. Jones!). 14 years later and I still go it! Great book. “You have brains in your head. You have feet in your shoes. You can steer yourself any direction you choose. You’re on your own. And you know what you know. 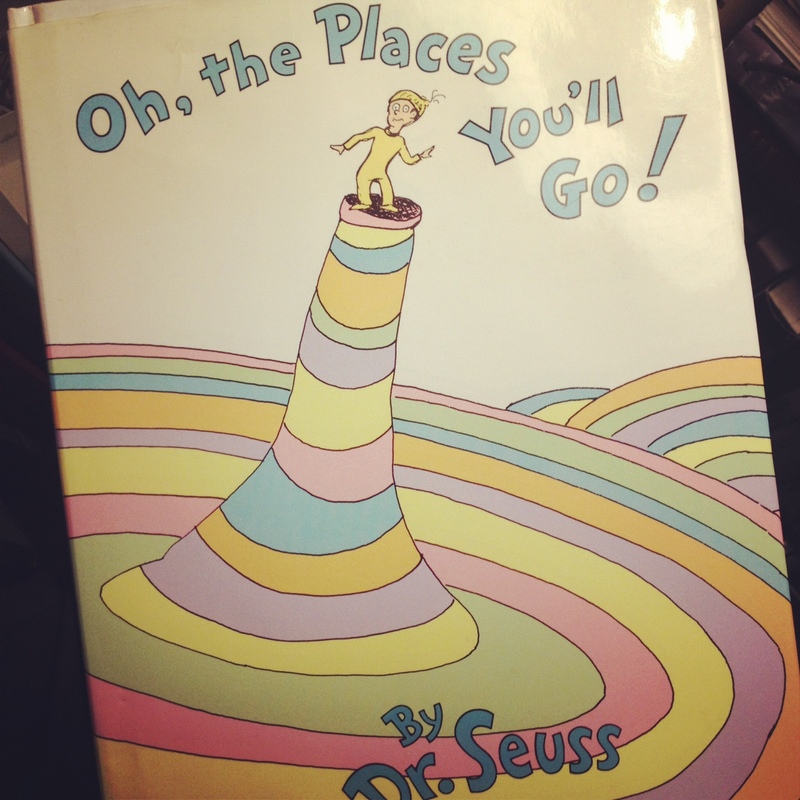 And YOU are the one who’ll decide where to go…” ~Oh, The Places You’ll Go! Great words of wisdom and encouragement for a recent graduate. I like most every Dr. Seuss quote there is, but one has always stuck with me more than the others and it is why today is BTAT: Dr. Seuss. I used to be one of those people who wanted everyone to like me. I wanted to be everyone’s best friend, most reliable friend, most favorite friend. This is teenage through college-age Abby. It meant that I was constantly changing myself to fit into whatever mold everyone else wanted me to fit into. It was exhausting. More than that, I lost sight of whom I really was and what I really wanted. I played it off really well, convincing everyone I was strong, independent and doing exactly what I wanted to do. It wasn’t until I moved to New York City (10 years ago!) that I really found myself. And I wasn’t really even looking! 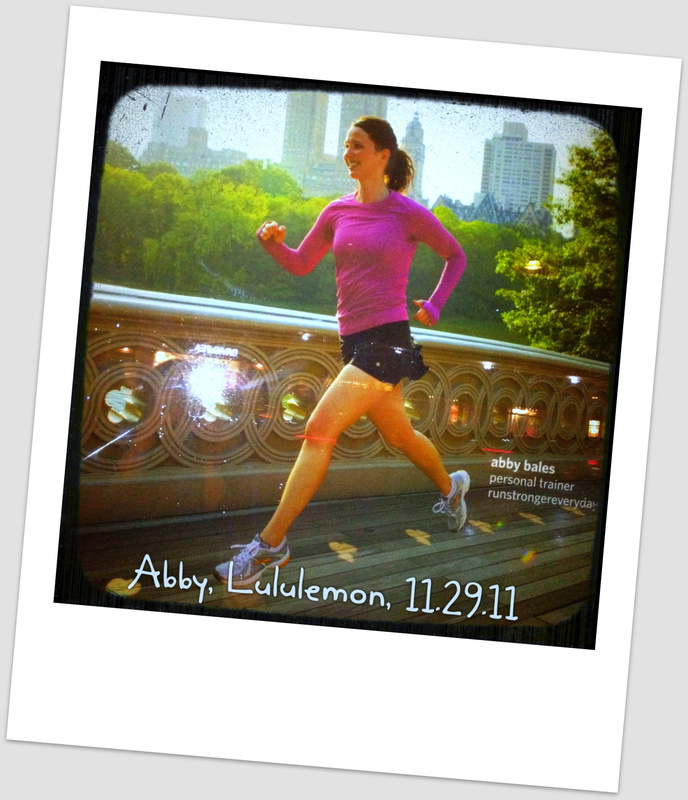 Dream role: lululemon Ambassador. Check! Almost overnight, my entire being changed. I lost weight. I threw myself into the fitness world and left the performing world. I met a man who would change my life (hi JB!). I made the most amazing friends. I became more honest and open. I lived my life with integrity. I was free of the burden of pretending to be something I wasn’t and it felt AMAZING. Except for one thing. Some of the people in my past didn’t like it so much. Some people left me. I left some people. It was painful, sometimes hurtful and oftentimes, a lonely transition into living the life I truly wanted to live. As a twenty-something year-old, breaking away from the security of friendships in still fairly new city was terrifying. But I held fast and I was strong and I came out the other side so much happier. Just like Dr. Seuss says. Why do what everyone else does? Why care what everyone else says? Why like what everyone else likes? Why be what everyone else is already being? There are people in the world who want you to be, do and say everything the do, are and say. They want you to abide by their code of conduct, follow their life plan and behave the way that they see fit for you to behave. Not Dr. Seuss. He teaches us (as children!) to be ourselves, trust our instincts and follow our dreams. Dr. Seuss, thank you for these lessons. Thank you for encouraging people to dream, to be who they are, to try and try again and never give up. These are lessons that we cannot emphasize enough to each other, to our children. Peanut, my sweet baby niece, you will have LOTS of Dr. Seuss books to teach you these lessons and several aunts and uncles who will encourage you to boot! To my friends out there who are struggling with being who they are and saying what they feel, do like my favorite spin instructors say, “Don’t think, just do it.” You will find yourself in an entirely new world. Don’t think, just do it. And if people are bringing you down, maybe they need to be kicked to the curb…or at the very least, IGNORED. Surely being yourself and loving the life you live is waaaaaaay Better Than the Alternative, don’t you think? Yeah, me too. What a terrific post! Please send my best to JB. Will do, Uncle Tom. Thanks! Abby, this is one of my favorite posts ever! I’ve been thinking about you tons lately! Love youuuu! Jo Anne! Miss you–and by the way, JUST DO IT ALREADY! You’re awesome. Abby, I agree that this is one of the best posts that you have ever done! As all have grown older in our family I have lost sight of some of the great Dr. Seuss quotes and wisdom and appreciate the reminder. Life is Good! Thanks, Daddy-o. Guess we’re all going to have to start reading to Peanut to rind ourselves of Dr. Seuss’ lessons. What a great post. I have never read any Dr. Seuss’ books but I love the quotes and message of your blog post. I myself, am proof positive that paving your own trail will definately make you stand out. GREAT post (yet again). You continue to inspire me! Thanks Abby! What a compliment, Kara. Thank you! Michele, I’m so glad you found yourself because you are FABULOUS! Rock on, sister. Big Apple all the way, Josie! I really love this post too Abby. I too feel like you’re speaking to me in parts, especially with the first quote, “Be who you are and say what you feel because those who mind don’t matter and those who matter don’t mind.” Once I really understood this and embraced it, like you said, life changing.